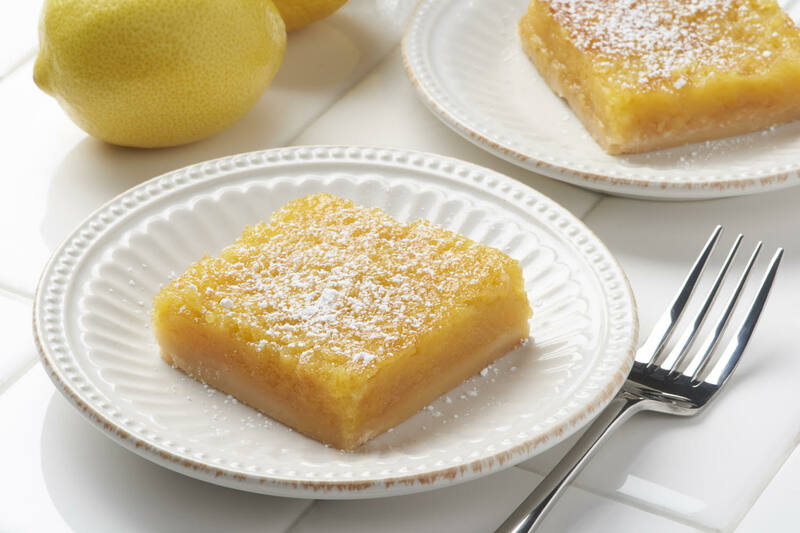 These lovely lemon bars are a crowd pleaser. Preheat oven to 350 degrees. In a large bowl, combine butter, sugar and flour. Pat into an ungreased 8-inch square pan. Bake for 20 minutes. In a medium bowl, combine lemon butter, eggs, sugar and baking powder. Mix thoroughly by hand or with an electric mixer for 2 to 3 minutes. Pour over hot crust. Bake 25 to 30 minutes. Cool, then dust generously with powdered sugar.